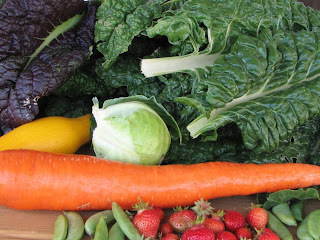 "As was said earlier, there is order and diversity, and thus beauty, in food that reflects God’s character. One cannot escape this obvious fact when reviewing a farmers’ market display of foods or by studying the details of each food. This detail of order and diversity never ends as we look at the visible, microscopic, molecular, and atomic structure of food. The design of food is undeniably incredible. 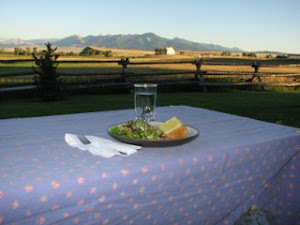 Beware of people who do not humbly work with food and instead oversimplify it. It is easy to isolate a component of a food and declare that that is all you need, so you should consume it as a supplement and forget the rest of the food. Likewise it is also easy to isolate a component of a food and declare that the component is bad for you, so therefore you should avoid the food source. The different molecules and compounds of food work together in a way that is difficult to measure. The parts that are good by themselves are usually even better combined with other parts, and those that might usually be bad by themselves can interact at low levels with other parts to produce a good effect. Over time many compounds or attributes of foods that were originally considered as detrimental have not been confirmed as such; some were even found to be healthful (e.g. protease inhibitors). 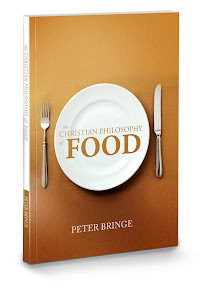 We see things dimly and imperfectly, especially when we study God’s creation without acknowledging that He exists and has infinite wisdom and power"
(The Christian Philosophy of Food, p. 69-70).